- The only time I remember writing a Valentine's Day Post on the blog is here. - Heli is the best assistant I could have ever asked for. - I must be the world's biggest procrastinator. - I am excited about the One Billion Rising. - I cannot wait for the coming weekend. She is coming to visit me. - I am glad the sun it out this morning. - I am happy. RIGHT NOW. 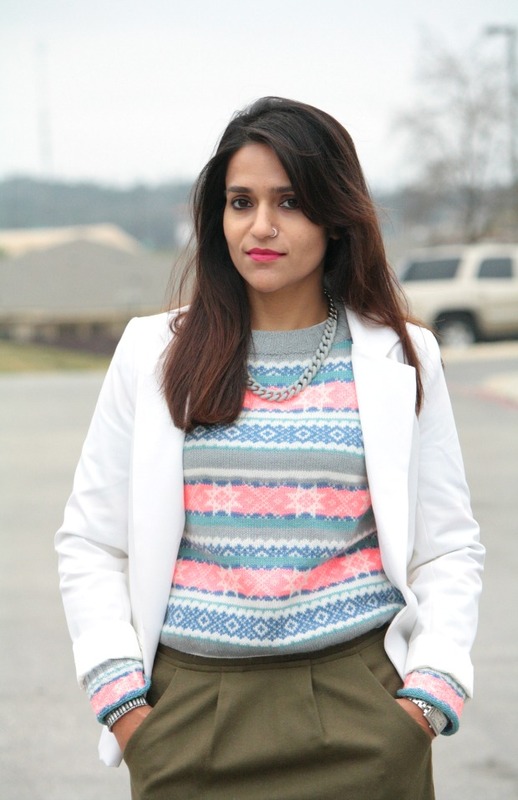 - This is the 7th time I am wearing this white blazer on the blog, in 9 months. - What should I cook today? Or should we just eat out? Sweater - ASOS [12'] Click here to see how I wore this sweater the last time.